The trailer of the highly-awaited film Macbeth is finally out, with Michael Fassbender and Marion Cottilard portraying the dark and twisted characters of one of the best Shakespearean tragedies. Macbeth is the grim character created by William Shakespeare who is consumed by ambition after he receives a prophecy from a trio of witches that he will become the King of Scotland one day. 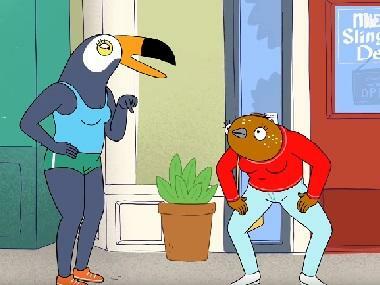 There is not one scene in the trailer which is not grim or dark. 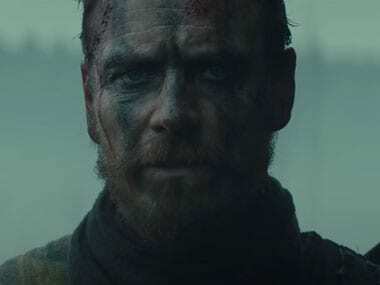 However, despite the sombre tone of the trailer, it never turns dull and will always keep you engrossed as you watch some brilliant acting by Fassbender and Cottilard, especially the scene in which Macbeth smiles after saying that his mind is "full of scorpions", which is scary enough to send chills down your spine. An intense and haunting soundtrack also makes sure that the serious and sinister tone of the trailer is never lost. Macbeth is shown to be suffering from post-traumatic stress disorder in the film, according to Associated Press. Fassbender credited director Justin Kurzel for making the connection to contemporary warfare. “That changed everything for me,” Fassbender had told reporters on Macbeth's post-traumatic stress disorder in the movie. “We know from soldiers today coming back from Iraq or Afghanistan that describe post-traumatic stress disorder and the fact that they have these hallucinations."